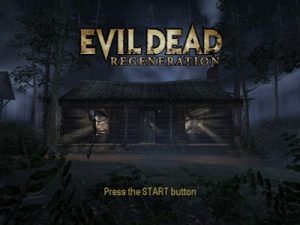 EVIL DEAD REGENERATION PS2 ISO – Taking place right after the events depicted in the movie,Evil Dead 2, Ash is arrested for the murder of the Deadite bodies found at the cabin and convicted. Found psychopathic, Ash is sentenced to Sunny Meadows, an institute for the criminally insane. Though free from the madness that plagued him in the woods, Ash learns that the Necromonicon Ex Mortis, the Book of the Dead has fallen into the hands of Dr. Vladamir Reinhard, the person in charge of the asylum. In the basement, Dr. Reinhard experiments on unlocking the secrets of the Necromonicon. 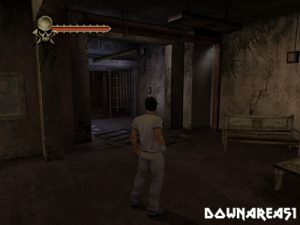 Using a helpless inmate named Sam as a test subject, the mad doctor frees the evil and once again Ash must live the nightmare as evil forces break free and inmates are turned into zombie deadites!.